Saturday morning funeral services were held for the iconic Agnes Nixon (creator All My Children and One Life to Live) who passed away earlier this week at the age 93 in Philadelphia. 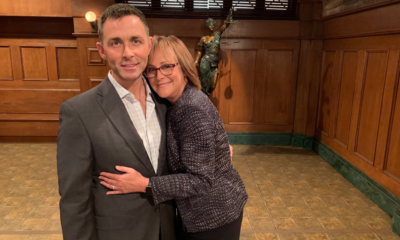 Throughout the day, several touching posts made their way via social media from those who attended the service, and gathered together following the service, to celebrate the life and times of this remarkable woman whose mark on daytime soaps is unparalled. Former All My Children stars: Kim Delaney (Ex-Jenny Gardner), Darnell Williams (Ex-Jesse) and Susan Lucci (Ex-Erica) were in attendance. 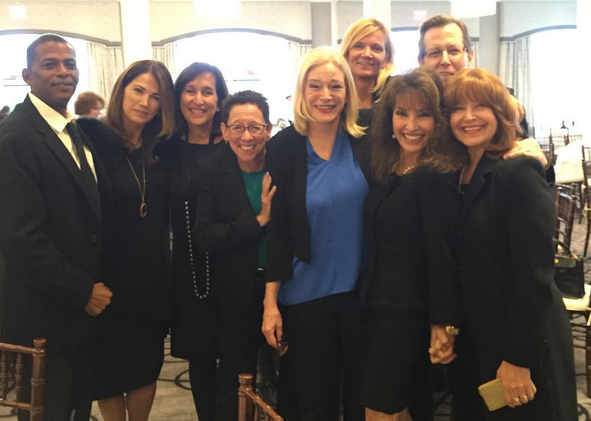 Delaney and Lucci shared some images of the reunion with their former co-stars and AMC producers gathered to remember Agnes, including: Francesca James (Ex-Kitty/Kelly) who later went on to be the EP of the series, Ginger Smith, who was Supervising Producer on ABC’s All My Children and later EP of Prospect Park’s reboot version, and former AMC producer, Carol Shure, former AMC head writer, Lorraine Broderick. former Consulting Producer and ABC Daytime executive consultant and EP, Randi Subarksy, AMC’s production team’s Rusty Swoop. and in the very front Agnes Nixon’s great-granddaughter. Fay. Share your thoughts via the comment section below on the heartfelt images and posts from Carlivati, Lucci, and Delaney as we honor the life of Agnes Nixon this weekend, a woman who meant so much to so many. 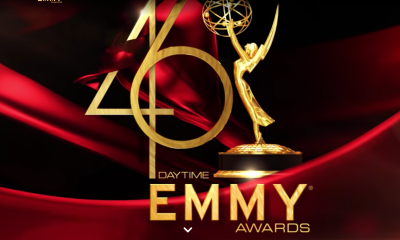 RATINGS: General Hospital Has Strong Week; Gains Most Total Viewers! Cady McClain’s Passion Project Docu-Series, Seeing Is Believing: Women Direct, Launches IndieGoGo Campaign! A true legend and a talented writer/creator. She will be sorely missed. Soap writers of today, take a page from Ms. Nixon. The word visionary totally describes her. Very well said Lew S. I agree with you 100%. SAID PERFECTLY…A TRUE LEGEND…LADY WITH CLASS AND TALENT. I stop-in and read both FV & RC twitter..
– RC– has soooo much great reminiscing soap pictures etc.. He no longer writes for a soap but reading his twitter page he has never forgotten, let go, of his love for all the soaps he wrote for…. I really enjoyed all his pics etc of days gone bye. it’s worth a look-see ..
Agnes was greatly respected and loved.. It was wonderful so many that loved her gave her a great send off ..
A great Lady, indeed .. The one and only…she is the singular greatest gift to daytime television that only one comes along in a lifetime. God Bless and thank you for all you came to give dear Agnes. This made me cry. What more can be said. Truly the end of an era. Ms Nixon changed the face of the American soap opera. And as long as social media stays with us, we can always look at a clip of her work and be reminded of the incredible legacy she left behind. Rest in peace Ms Nixon. Thank you for sharing your one life with us. And the story never ends. AMC was the first soap I watched as an adult, after my son was born, and I was home during the day. Agnes conceived and wrote the most compelling stories which few others have ever matched. So sorry her wonderful shows were shamefully dumped by ABC! RIP, Agnes Love Ya!!! You was the best storyteller of Daytime…. Agnes Nixon and Irna Phillips were 2 of a kind — daytime visionaries! We will miss Agnes. Sad that she saw ABC cancel AMC and OLTL. la and ed hall..vinnie and wanda wolek..the original rachel on another world who later became dorian lord..ruth and joe..billy clyde tuggle..donna beck..marco and tina…karen wolek…amazing well thought out characters and towns..back history galore..claudette montgomery and her mother..the amazing phoebe tyler ..langley..jesse and angie..jeff and mary…riveting on the edge of your seat shout at the screen drama…and that was daytime..R.I.P. a legend among many…a true standout. Thank you , Agnes Nixon for the many, many Yeats of entertainment you gave us. All My Children was the best soap EVER! I wish so much it would return to weekday afternoons. I’ll never forgive ABC for cancelling All My Children & One Life To Live simultaneously. Their ratings and replacements have never recovered those loyal audiences. Then CBS kills Guiding Light and As The World Turns. Just think of the losses of daytime viewers. TOTALLY AGREE.. THE VIEWERS HAVE BEEN THE BIG LOSERS..THE NETWORKS ARE ONLY INTERESTED IN THE $. Life ending no matter what has a touch of sadness and bittersweetness. She may not have solved poverty,hunger or AIDs but her talent brought us smiles, tears, some social awareness and some great escapism. Some may say she brought us, created, the one and only Erica Kane – enough said. She will be missed but has led a full life and her memoirs are now finished too. She is one of the few writers/creators that was so well known publicly. So full of life, class and style – putting her family first – rumour has it a great mentor to Susan Lucci who also put family first before her career. A chapter has ended but the cover will always be opened by generations to follow. – The greatest; the least – she was the greatest. You are correct. Two words alone tell the tale of a great lady – Erica Kane! What a beautiful tribute Windy! My feeling are similar to yours as is my story. I’m 54 years old and like you, grew up watching the ABC soaps. We are left with GENERAL HOSPITAL which always had a big following but never was as great as Ms. Nixons creations. I was so saddened, to see the very last episode of OLTL, which I had watched/recorded, every single day, since 1992, and, wasn’t quite sure, just how I felt, about Prospect Park. 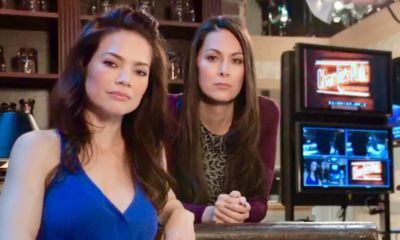 Didn’t really matter, though, as I prefer television viewing to online viewing, so…that, for me, was the end of OLTL; however, I have become very attached to GH, and, enjoy every single episode. Agnes- you were blessed with such a gift…and, now…you have your wings! What strikes me of the millions of American women and to a lesser extent men who were her core audience in the 60’s, 70,s and 80’s have passed. That core audience was entertained and educated in the Empire begun by the great Ms Nixon. I was lucky enough to meet the great Ms. N which in New York in January 12 , 2012. 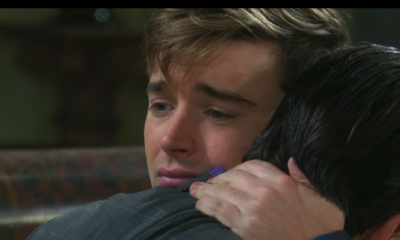 The eve of OLTL last airing. She was with Ron Carlivati. She was weak but not frail. She clung to him like a loving mother, he caring for her like he was the watchman of a priceless jewel. They must have loved each other so.